As a lifelong educator, I believe that it’s never too early to start learning. From the moment they are born, children learn to interpret tone of voice and what behaviors bring them food and comfort. Their minds are wide open, ready to receive the information they need to become balanced, successful adults. That’s why early childhood education is so important and why offering quality early education is vital to the generations that will shape Mexico’s future. Early education changes lives for the better. Providing more high-quality programs will ensure that more children have access to the benefits they bring. Those benefits are well-documented. Children who attend quality early childhood education programs tend to be more resilient and stable. They do well in school and stay in school longer. They have better social and emotional skills, along with character, tenacity and resourcefulness. According to data from the Organization for Economic Co-operation and Development (OECD), only 62 percent of Mexican children reach high school, and just 45 percent finish high school. One in 10 young men and one in three young women ages 15 to 29 are neither in school nor employed. Creating more early childhood education programs is one way to tip the balance for Mexico’s children and nurture them to create a brighter future for Mexico as a whole. When researching Mexico’s early childhood education programs, I found an inspiring story that reminded me of my own. Elisa Guerra of Aguascalientes wanted better early education programs for her three children, so she founded one herself. Today, her franchise of schools and her education materials are helping thousands of children around the world get a great foundation for learning. My sister and I found ourselves in a similar position. We wanted something special for children, something that would give them a great start in life. The program we envisioned didn’t exist in our community, so we founded MUSE School. And now we’re offering that model worldwide with the MUSE Global franchise. We faced those challenges, overcame them, and discovered that the rewards are phenomenal. Touching the lives of children and their families, helping shape young people into self-reliant, conscientious adults, getting to know young people and channeling their passions into quality learning, all have made our early struggles worthwhile. But I can see how the challenges and struggles of starting an early childhood education program could put the dream out of reach of people who could become excellent teachers, who could truly make a difference in children’s lives. Franchising is one way to address early childhood education shortages all over the world. It offers educators a helping hand, putting quality programs into communities quickly and easily. People who want to start early education programs don’t have to go it alone. The franchise model offers support with issues like buying or building facilities, training and hiring like-minded staff. It comes with a ready-made, proven curriculum and operating procedures that take the guesswork out of running a school. This is why we started MUSE Global, of course to help children, but also to help educators, dreamers like us, realize their vision of starting a school that reflects their personal values and principles. I believe in the MUSE Global model. I have witnessed the way it empowers children to love learning. At MUSE, our philosophy is child-centered and passion-based. We ask children to identify interests, what we call their passions, and we center their learning around those passions, engaging them in a holistic learning experience. We also teach sustainability, encompassing the impact our lives have on the living planet Earth and sustainability in our interactions with each other and ourselves. With MUSE Global, children learn sustainability habits that they will carry with them throughout their lives. Our plant-based lunch program teaches them the value of eating one plant-based meal a day, both for their health and the environment. Our system of engaged problem-solving teaches them sustainability in relationships. And passion-based learning teaches children them the sustainability of self-respect. While I believe in our model at MUSE, there are many other education franchise models available, all with different philosophies that could benefit Mexico’s children. Just as we offer children at MUSE a choice in how they learn, franchising offers educators and families a choice. Education is not one-size-fits-all. Families need choices so they can feel confident that their children’s education aligns with their own values. Educators need choices so they can put their faith in the curriculum they teach. And children need choices so they can learn in the way that best suits their needs. MUSE Global is offering franchise opportunities in Mexico and worldwide. I hope that more education franchises will follow suit, breaking down barriers that stand between educators and the children who need them. 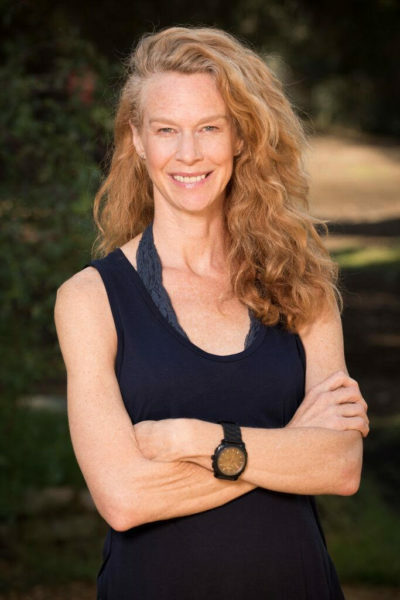 Rebecca Amis is chief innovation officer of MUSE Global, an international child-centered educational system teaching sustainability and plant-based values. Founded in 2006 as MUSE School by James Cameron, Suzy Amis Cameron and Rebecca Amis, the school quickly grew to two campuses and has now relaunched as MUSE Global, an international franchise system dedicated to sharing its vision of educating and inspiring our future leaders to live consciously with themselves, with one another and with the planet. To learn more about MUSE Global, enrollment and franchise opportunities, please visit https://www.museglobal.org/. Does AMLO know that Mexico and Spain signed a peace and oblivion agreement back in 1836?